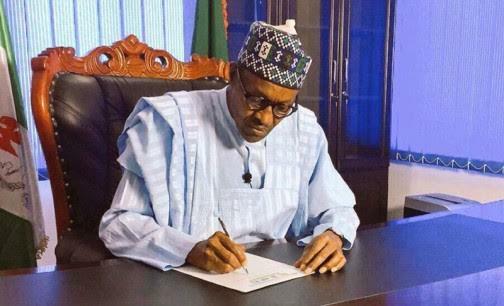 It is not new that President Muhammadu Buhari‘s controversial Executive Order 6 has been a subject of much public discussion since it was raised. Following the recent court affirmation of the order, the likes of former Vice President Atiku Abubakar, former President Olusegun Obasanjo have decried the law as being against the rule of law and as having hidden political agenda respectively. Two lawyers who appealed the October 11 ruling of an Abuja division of the Federal High Court which validated the order asked the court to set aside the lower court’s decision and stop further plans by the presidency to execute the controversial order. 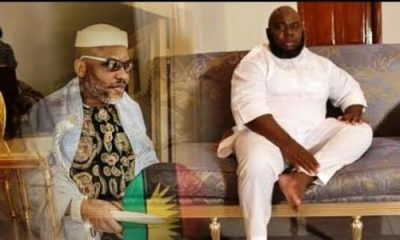 The lawyers, made the application before the Abuja division of the Court of Appeal on Monday, are asking the court to set aside the ruling. The Executive Order six provided the government the power to seize assets allegedly obtained fraudulently by some Nigerians. Following the announcement, the applicants, Ikenga Ugochinyere and Kenneth Udeze, approached the lower court. In a ruling by a judge, Ijeoma Ojukwu, on October 11, the judge said the controversial order does not amount to an infringement of the rights of Nigerians to own properties, as alleged by the lawyers. The judge ruled that the constitution allows the federal government to implement executive policies, so long as the policies do not affect the doctrine of separation of powers. The court also directed the executive to ensure such assets are only seized after a court order is obtained. The government explained that the directive was made to prevent the targeted Nigerians from fleeing and further prolonging their cases in court. In the recent appeal, the lawyers argue that the October 11 court order is a clear violation of the rights of Nigerians. They also said the decision of the lower court does not empower the federal government to institute the recent travel ban. According to the applicants, the travel ban is a deliberate attempt to usurp the powers of the courts of law and a deviation from democracy. 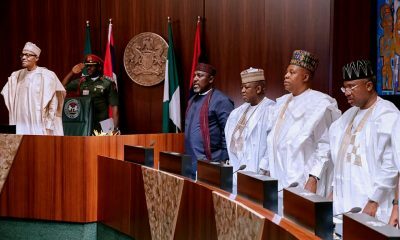 They argue that the lower court was wrong according to the law in its ruling that the executive order six did not violate the rights of Nigerians to own properties. The recent appeal also seeks to establish that the lower court failed in its responsibility to properly analyse the executive order six, which the applicants believe is in violation of the principle of fair hearing. According to the lawyers, the lower court was not obliged by law to advice government or Nigerians on what the implications of executive order six ought to have been. They submitted that the court was only expected to interpret it in relation to section five of the constitution, upon which the order was based. The first respondent in the suit is President Muhammadu Buhari while the second is the Attorney General of the Federation, Abubakar Malami.